Mysha's Flooring Company offers the best services in Chicagoland and surrounding suburbs since 2000. 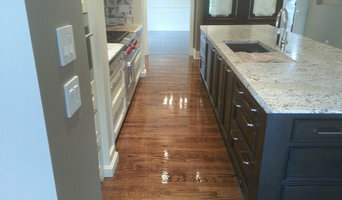 We specialize in all types of hardwood floors. Custom Fabricator of Granite, Marble & Quartz/Eng Stone. On Site selection of full slabs of stone. Over 300+ colors available. Specialize in Residential & Light Commercial projects. Open 7 days a week for product selection. BBB Accredited, Angie's List Award Winner. Precision Stone Design is a young company with “start-up” mindset and is committed to deliver the highest quality of service to our clients while giving them the most value for their money. Precision stone design is primarily a custom fabricator of natural & engineered stone. We also offer home design and remodeling services. The company has over 35 years of combined experience within the countertop fabrication and home remodeling industry. We are excited to build a client base which we would be proud of. Some of the values we truly believe in are, being responsive, agile, competitively priced and respectful towards our clients. When translated into business language these values mean the following to “You” our client. Family owned since 1973, our experienced teams of skilled professionals have been providing expert installation of premium quality siding, windows, aluminum trim, patio doors, entry door and more. 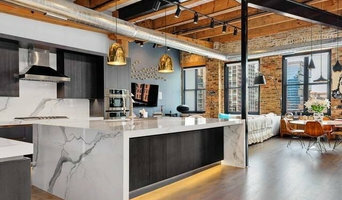 Online here and at our kitchen cabinet showroom near the Chicago airport , you will find 24 hand selected wood kitchen cabinetry in an array of colors and styles. Our designers and artisans have created these kitchen cabinetry models with an eye toward charm and grace as well as function and practicality. Each kitchen cabinet reflects the combined skills of our most talented team. Our showroom is located in Elk Grove near the Chicago airport and has function displays to inspire homeowners and contractors. Our kitchen cabinetry is a triplex blend of superior craftsmanship, fine design, and wholesale pricing. We take pride in our attention to detail to transform your basement into an attractive setting that will meet your expectations. Give us a call today for your basement remodeling needs. Signature Innovations, LLC d.b.a SIGNATURE HARDWOODS™ is Chicagoland’s premier custom designer, manufacturer and installer of true European, Vintage French Oak, bespoke hand scraped, distressed and antiqued hardwood flooring — recognized worldwide for creating beautiful and enduring floor designs. SIGNATURE HARDWOODS™ award appointed 4,000 square feet Showroom & Flooring Design Studio is located at 1171 Landmeier Road in Elk Grove Village, Illinois 60007. We are open Monday thru Friday from 8:30 AM until 5:00 PM, and on Saturday by appointment only. We are closed on Sundays. Our custom hardwood floors can be shipped to any US location and worldwide. EverGreen Landscape Associates has been providing uniquely designed landscapes for over nineteen years in the northwest and western suburbs of Chicago. AMF Brothers Granite Quartz Cabinets is a family owned company. We offer Quartz , Granite Countertops as well as Cabinets . 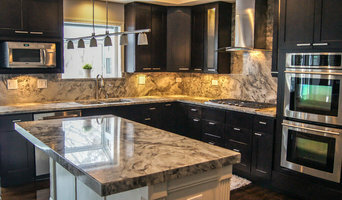 We currently install and fabricate hundreds of granite countertops per year. . Our top priority is your satisfaction. From start to finish, we will work with you to provide innovative solutions to ensure that your system seamlessly integrates into your home or business, but more importantly into your lifestyle. We put our skills and expertise for you when it comes to roofing work, gutters and downspouts to ensure proper drainage, windows and doors. No job is too big or too small for All About Exteriors. Cabinets City strives to provide attentive, superior and affordable services. We offer a comprehensive selection of cabinet brands and designs in order to meet their varying budget needs. I find beauty throughout the range of design styles, and my work reflects my enjoyment in designing for clients whose style ranges from contemporary to traditional. Since 1932, Lake Shore Stair Company has strived to achieve high quality craftsmanship in every stair and rail project we have undertaken. Our customers’ reviews and referrals are the highest compliments we can receive and are a testament to our commitment to excellent workmanship and customer satisfaction. 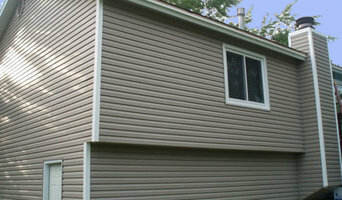 iBuild, Inc. brings 35+ years of combined construction experience to the Chicagoland area. We use premier products that you can trust and have built our reputation on excellent customer satisfaction. Living and building by the slogan “communication is our #1 priority” has earned our firm an enviable renown based on our attention to detail and our ability to make dream homes come to life. Blanford Design specializes in creating landscapes worth framing. We develop masterplans for your property and guide you through the construction and implementation of your landscape. Custom Drapery Workroom is a full drapery service capable of drapery design, fabrication, and installation specializing in luxury window treatments. Linda is an interior designer, who started LMR Designs, LLC 14 years ago. My full service design firm works with people to beautify their surroundings. IN & OUT DESIGN is a unique company that specializes in extraordinary interior & exterior transformations. We provide interior decorating & redesign, home staging, remodeling, landscape design & more. Tom & Peter Flooring is owned and managed by Tom Brzoskwinia who has been in the wood business for over 15 years of experience in flooring. Tom is a dedicated family man that enjoys spending free time with his beautiful wife and children. He also likes to go fishing when time permits and travel. Tom began his career in company Hardwood Flooring working for his father in law as a laborer and since then the only way to do great work is to love what you do. Over those years Tom has served many customers, and the number of satisfied customers is growing every day. Because of his professional craftsmanship, his business keeps on growing, to satisfy more and more residential customers and remodeling companies while maintaining pleasant work conditions and good relations with all of his customers. Over the years we have had a chance to work in; shopping malls and centers, theaters, restaurants, motels, hotels, gyms, dance floor-studios, churches, down-town apartments; As well as many private residence. Tom & Peter Flooring’s workforce insists of only the highly experienced craftsmen, and most of who have been with the company from their very beginning. Each worker does his best to meet every client’s standards, while doing his best to fit the customer’s schedule. Our top priority is your satisfaction. No job is too big or too small for us. We will work with your space and budget to find the perfect solution. With each job, our reputation is on the line. Therefore, no job is complete until you are 100% satisfied. We utilize the most sophisticated equipment using modern sanding techniques and machines. With available special dust-less systems with conventional production process to achieve the best quality. Also, the Company is capable of importing different types of first and second class material to satisfy the most discriminating tastes. Steven Kaye of Paper Craft Interiors, Inc. has had the pleasure of installing wallpaper, fabrics, and murals for residential and commercial clients throughout the Chicagoland area since 1977. Reach out to multiple professionals — especially for larger projects — and don't settle for the first bid you hear. Comparing multiple Elk Grove Village, IL professionals' bids and experiences can help you find the one that’s best for you. Ask a lot of questions now, so you won't have unexpected answers later. Find a home design professional on Houzz. Narrow down your search by type of professional and location. Browse Elk Grove Village, IL portfolio photos, read client reviews and contact each Elk Grove Village, IL professional for more information. Check out the information in the specialized professional sections too for tips on how to hire the right professional for your project.